Wanted to show what I've been up to and at least try to give you the reason for your forsaken state. Up first, the dining room of a client. The house is 100 years old and spectacular. 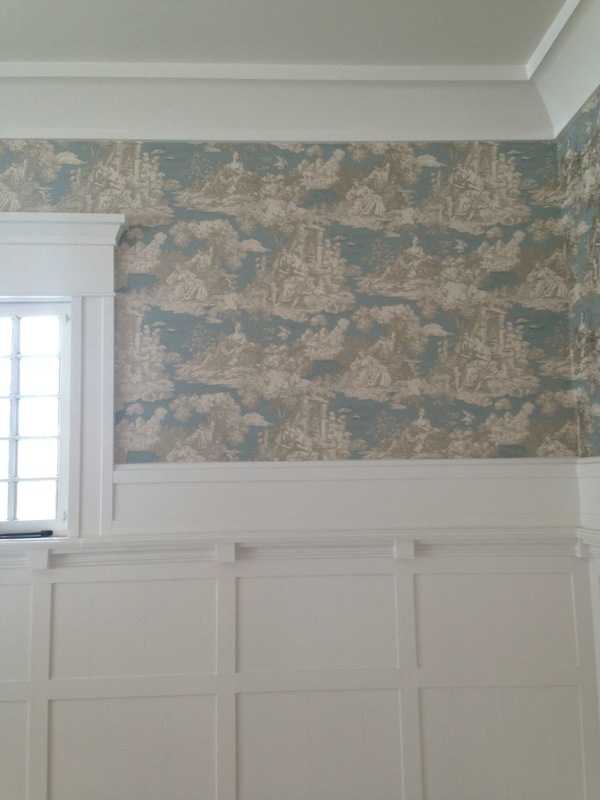 We painted the woodwork a crisp, warm white, and then that insane aqua and metallic (hard to see) toile. Oh, just gorgeous. VERY happy with where this room is heading. BLACK trim. Just obnoxiously beautiful. I CAN NOT WAIT to see that runner installed. It will add the edge that will just set this place on fire. In a good way of course! One of the reasons for my neglectful ways lately. Hope everyone is doing splendidly. As you can see, things are looking pretty nice from where I'm sitting. It's all just SO good. 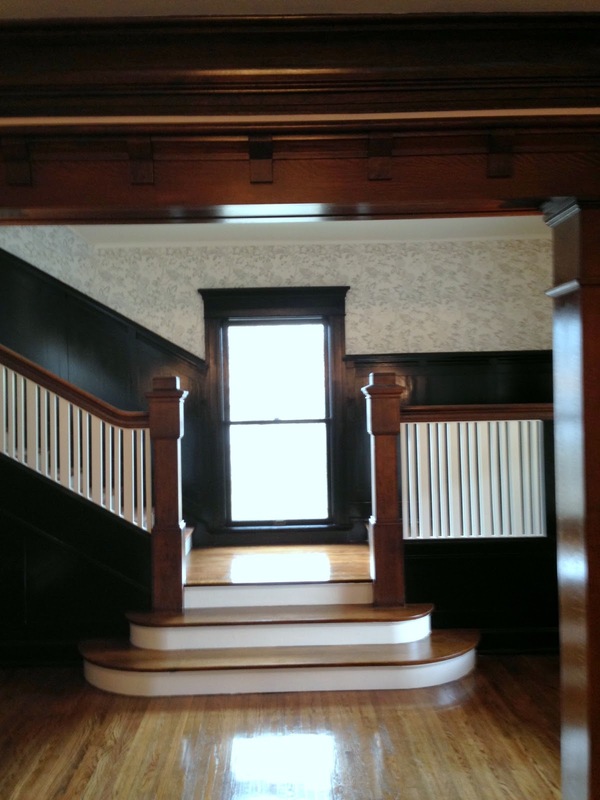 That staircase makes me crazy and the black paneling- yum!!!! That wallpaper = I die. 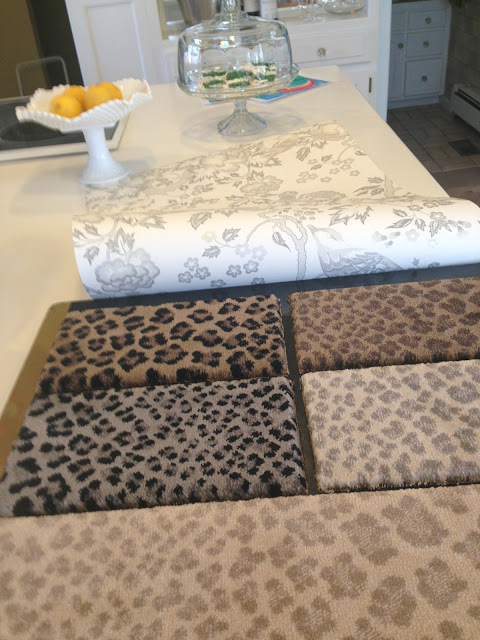 That house is all kinds of gorgeous, and a leopard stair runner is my dream! 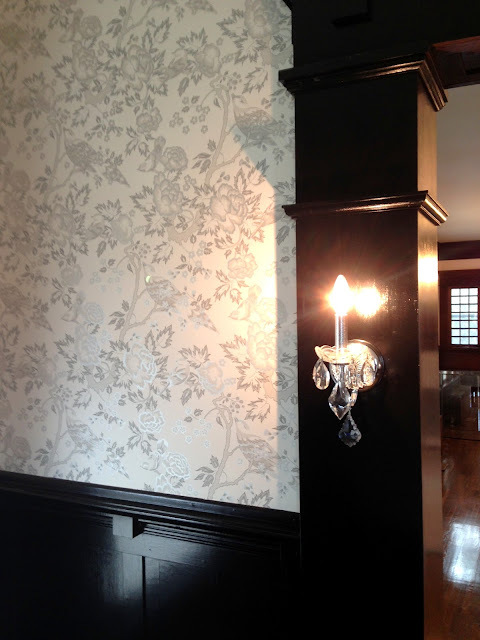 I have been looking for a silvery wallpaper like that ... it will look fabulous with the leopard. Do you mind sharing your source? This is a nice house, thanks for sharing.